Comedy Never Tasted sooo good! Sonny, the unconventional and stubborn teenage sun bear has one thing on his mind: COOKING AMAZING FOOD! Food Truckers follows Sonny and his best friends, Andi and Tong, as they hurl themselves into a whirlwind of wild and delicious adventure! And what a life it is. 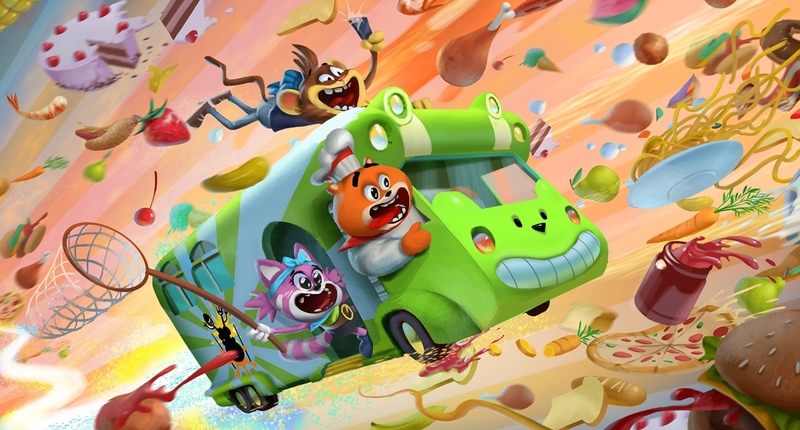 Comically dangerous and chaotically strange, he sets off on an epic journey to cover every corner of the earth, together with friends Andi and Tong and their trusty green food truck, Julia. The Food Truckers are on a mission to collect the most outlandish and alluring ingredients from the most dangerous places in the world — AND COOK ‘EM ALL! It’s a big tasty world so lets take a bite!